Hi, my name is Amy Lacey. I am a professional Hair & Makeup Artist based in Surrey, with over 16 years experience in the wedding & beauty industry. Having worked with hundreds of brides and been a bride myself, I truly understand the need to feel like you - the most beautiful version of you - on your big day. 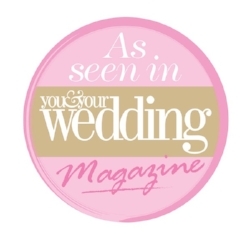 I’m thrilled that my extensive experience has earned me a regular place on ‘Your Surrey Wedding’ magazine’s, Beauty, Hair & Make up expert panel.